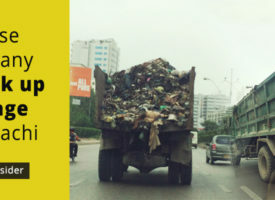 The citizens of Karachi can anticipate a cleaner city and get rid of some of the garbage lying openly on the streets as Sindh government has finally taken an initiative to fix this issue. The provincial government has signed a contract with a Chinese company to collect solid waste from the city. The largest metropolitan has been haunted by excessive waste which has been contaminating the city for many years.